Join-Up International hasn't added a story. I would like to tell you about our ground breaking and innovative approach to reducing violence by helping to create peaceful leaders through workshops with horses here in Guatemala! In a recent study Guatemalan youth said, ‘Violence is who we are’. Violence is endemic through all levels of society. Not just in countries like Guatemala, but across the globe vulnerable youth are using violence and aggressive behavior to deal with every challenge in their life. So what can we do to help reduce violence in the community? Many programs teach and preach non-violence, but how many of them are really working? Perhaps that’s what we’re doing wrong: extrinsically feeding information to people about how and why they should be less aggressive and violent. Perhaps what we should do is allow people to discover non-violence and non-aggression for themselves, as well as discover the benefits and fulfillment of becoming a more peaceful leader. This is what we do through our program and specifically through the embodied experience of Join-Up, the non-violent horse training approach designed by Monty Roberts. 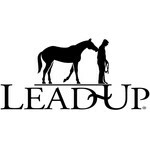 We have created Lead-Up International, a ground breaking approach to reducing violence by helping vulnerable youth discover calm and peaceful leadership through workshops with horses. We create a safe environment in which our participants learn to successfully interact with horses and even communicate with them using the horse’s inherent body language. We teach calmness and confidence through breathing and awareness exercises and we prepare our participants for transformative interactions with horses. When these young people learn to observe themselves, regulate their emotions and control their body language the horses respond in turn with signals of relaxation, trust and respect. We build partnerships with organizations that strive to improve the lives of disadvantaged youth and we work closely with their mentors to help guide our participants towards peace. For the beneficiaries who are able to receive the workshops they are welcomed into a compassionate and non-judgmental environment, far removed from the violence, abuse, addiction and neglect they often experience at home. Most of them have never touched a horse let alone interact with one and so we introduce them gently, teaching them calmness and confidence through breathing and self-awareness exercises and observing as the horses begin to reflect this new sense of tranquillity. We practice leading the horses with assertion and calmness, we teach the body language and non-violent communication necessary for a successful Join-Up and we include specially designed grooming exercises. We even take the horse’s pulse before and after a grooming session where participants are paired with horses and left to practice their new breathing techniques in silence; the horse’s pulse always goes down! This exercise is an intimate and cathartic experience for the participants, most of whom have never experienced this kind of peace and connection. At the core of our program is ‘Join-Up’; in fact we are now an affiliate program of Join-Up International. Join-Up is based on a consistent set of principles using the horse’s inherent methods of communication and herd behavior. Horses are herd animals that seek leadership. In Join-Up we give the horse the choice to flee, we then use our body language to demonstrate that we are not a threat and that we can be trusted. The horse responds; he licks and chews, lowers his head and bonds with his new found leader by reaching out to him; the moment of ‘Join-Up’. Within minutes of a participant demonstrating calm and assertive leadership the horse willingly chooses to be with her and walks towards her accepting herleadership and protection. It’s a powerful and life changing experience. Very soon our participants discover non-violence for themselves. With our guidance and support they relate their new skills to their lives. They understand that they can be more effective and successful in stressful situations and in all aspects of their lives through self-awareness and control of emotions and body language. They are empowered as they realize that they can be strong yet peaceful leaders. The workshops are supported by feedback sessions and focus groups to further nourish the seed that has been planted. The workshops and accompanying sessions span only a few weeks but the positive effects and changes in attitude and behaviour towards peace and non-violence are long term. We have scientific evidence of less abuse and violence towards horses and people as a direct result of our Lead-Up program. In a study conducted by Dr Judith Gibbons and team we witnessed profound shifts in attitude and behaviour towards non-violence. Why? Because our participants discover that there is another way to lead and that violence and aggression areneither necessary nor effective in becoming a powerful yet peaceful leader. This is what Lead-Up International can do and this is how we think we can help to reduce violence in the community. In 2012 I was awarded a certificate by Queen Elizabeth II for my efforts to eliminate violence in the training of horses here in Guatemala. At the same time I was a member of the board of directors of The Brooke partner program, ‘Healthy Horses for the People’. The Brooke strives to improve the welfare of working equines throughout the developing world. Inspired by the acknowledgment I received from the Queen and feeling that I needed to do something that really would merit such an award I proposed to introduce a Join-Up inspired non-violent horse handling program within the framework of the Brooke. The results and feedback from the first Join-Up inspired pilot program were astounding. Testimonies from wives and mothers of participants indicated a profound shift in attitude and behavior towards non-violence. What most impressed our team was the extent to which the participants had applied the concepts of non-violence to their lives. We witnessed a reduction in violence and abuse, not only towards the horses but also towards wives, family members and amongst community members. The outcome of the first pilot program led the team to the logical next step: to scientifically prove that we could reduce violence and abuse towards horses and humans through the application of the Join-Up inspired program. Research was then conducted by Judith Gibbons PhD, Katie Cunningham and team in Las Lomas community, Guatemala. The result was conclusive evidence of reduced violence and abuse towards horses and people as a result of the Join-Up inspired program. The results have now been published in the journal ‘Human Animal Interaction Bulletin’. In January 2015 Judith and I presented the research results to Monty Roberts and team in Solvang, California, the headquarters of Join-Up International. The presentation was followed by two days of strategic meetings with key members of the emerging program. It was at this time that the name Lead-Up International was given to the program and the road map covering 2015 until 2020 was outlined. We have now formed two committees of outstanding and supportive people from around the world who volunteer their time and expertise to the program. We strive to create peaceful leaders for the future: leaders who are strong yet calm, compassionate yet assertive, leaders who can contribute positively and effectively to their community and society, leaders who have discovered through their personal experience of Join-Up and other interactions with horses that violence is never the answer, leaders who have discovered the power of peace. Above all we cultivate leaders who have become the change that they would like to see in the world. Lead-Up depends upon donations and we’re reaching out for your support. We have had incredible success with the workshops so far. We have an amazing team who volunteer their time and expertise, and a really solid program. We have a plan to launch Lead-Up across the globe. Our goal is to officially launch Lead-Up International in Guatemala in 2016, followed by a launch in Sweden, USA and Brazil in 2017. Following that, we will extend across the globe. We already have the interest of many ideal candidates around the world who are interested in becoming Lead-Up Instructors and launching this program in their country; we just need the funds to be able to develop the program professionally. We want to be able to provide this life-changing program to as many organizations and their beneficiaries as possible. All we need is some seed money to get this compelling program off the ground. $50 will support one vulnerable youth to receive a Lead-Up workshop, $1000 will support 20 youths to receive a workshop. If you can support us in any way we will be sincerely grateful. Join-Up International hasn't posted any updates yet. Join-Up International is managing the funds for this campaign. Join-Up International is a verified organization.